View More In World Music. 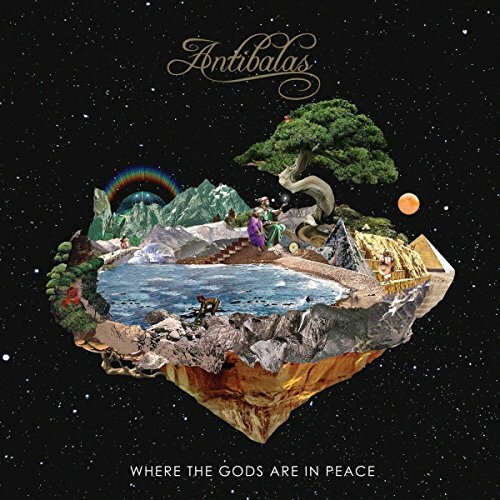 Antibalas new studio album, Where The Gods Are In Peace, is an epic Afro-Western Trilogy searching for solace from American political opportunism, greed and vengeance. Through its battle cry of resistance against exploitation and displacement, Antibalas long-form compositions investigate oppression in 1800s America that eerily mirror the current state of the country. Three explosive original arrangements cultivate an urgent call to heal a broken system. Ultimately, the sonic excursion lands on an island where love is our first instinct. A new ideology is born opening our hearts to the possibilities of living as one unified people, where all gods are equal and together we prevail. True to traditional form, Where The Gods Are In Peace pays respect to the forefathers of Afrobeat with compositions spanning nine to 15 minutes in length. With a blessing from the Fela Kuti legacy early in the band s career, Antibalas has long been revered for re-popularizing the classic Afrobeat sound while adding their distinct New York City grit to the mix. Influences of punk rock, free jazz, and hip-hop seep into their expansive works to define a truly 21st century translation of the Afrobeat genre and beyond. Vinyl includes download code. If you have any questions about this product by DAPTONE, contact us by completing and submitting the form below. If you are looking for a specif part number, please include it with your message.